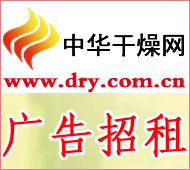 China Drying Network News Recently, the Ministry of Land and Resources issued the 2013 national first batch of control indicators for tungsten ore, antimony ore and rare earth minerals. Among them, in terms of rare earth mining indicators, total rare earth ore (REO rare earth oxide REO) control index of 46,900 tons, of which, 8,500 tons of ion-type rare earth ore indicators, rock-mining light rare earth ore target of 37,950 tons. It is understood that the rare earth index issued this time is determined by 50% of the targets issued in 2012. The total mining control indicators for the whole year will be determined according to relevant national policies and market changes, and will be issued in the second quarter of 2013. Although the implementation of total rare earth mining control is intended to prevent rare earth private excavation, but this policy has been repeatedly encountered in concrete implementation. The data show that in 2009 the national total control index of rare earth extraction was 82,300 tons. In 2010, this indicator increased to 89,200 tons. In 2011, the total rare earth mining total control index continued to increase by 4,600 tons to 93,800 tons. Among them, 80,400 tons of light rare earths and 13,400 tons of medium- and heavy-earth rare earths. However, in actual implementation, not all companies can strictly implement the above plans. Public reports show that in recent years, the actual amount of rare earths actually extracted in some provinces exceeds the planned targets of the Ministry of Land and Resources each year. From a national point of view, since 2005, Chinaâ€™s output of rare earth has exceeded 100,000 tons for five consecutive years. In 2008, it produced a total of 124,800 tons. In 2009, it also reached 120,000 tons. The actual output is much higher than the above indicators. Continuous drum asphalt mixing plant is very different with batch asphalt mixing plant. It produce the asphalt mixture in the drum which also dry the aggregate continuously,are available from 20TPH to 80TPH.